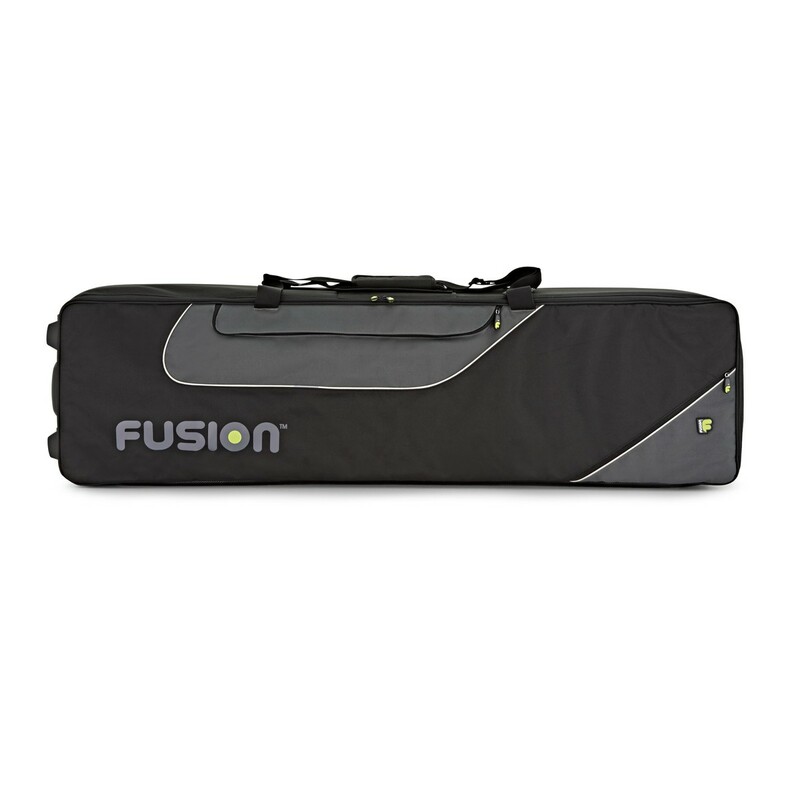 The Fusion 12 Keyboard Gig Bag is the ideal gig bag for commuting musicians. The 12 keyboard gig bag is made with 30mm high-density foam that offers unparalleled protection while keeping the bag lightweight. Unlike other Fusion bags, the 12 keyboard gig bag features a rigid heavy-duty wheel system that allows easy transit. 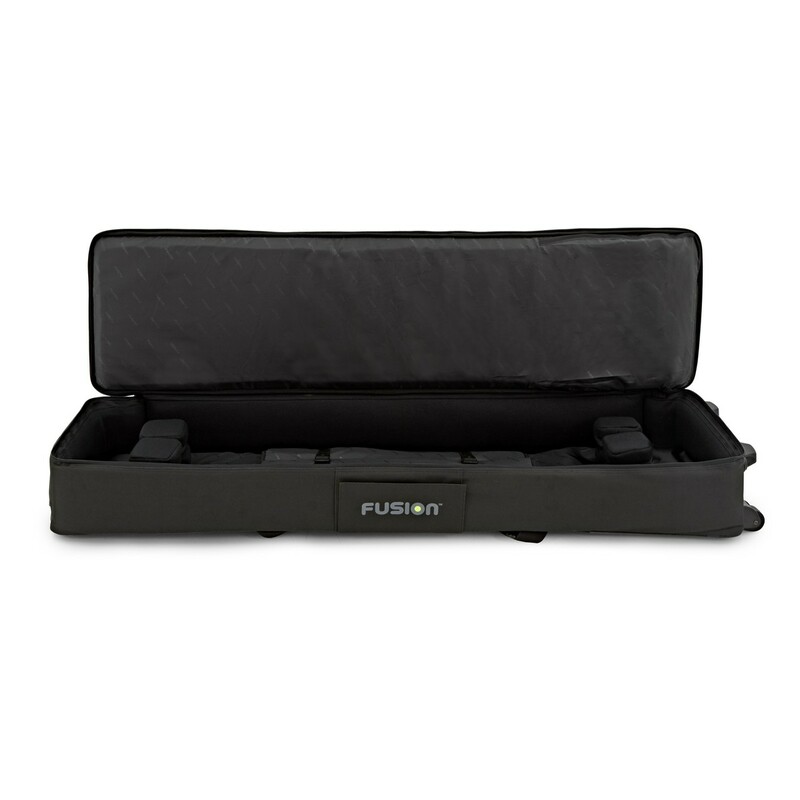 The Fusion gig bag has eight removable high-density foam blocks which can be moved to any desired position or taken out to accommodate various sizes of keyboards. 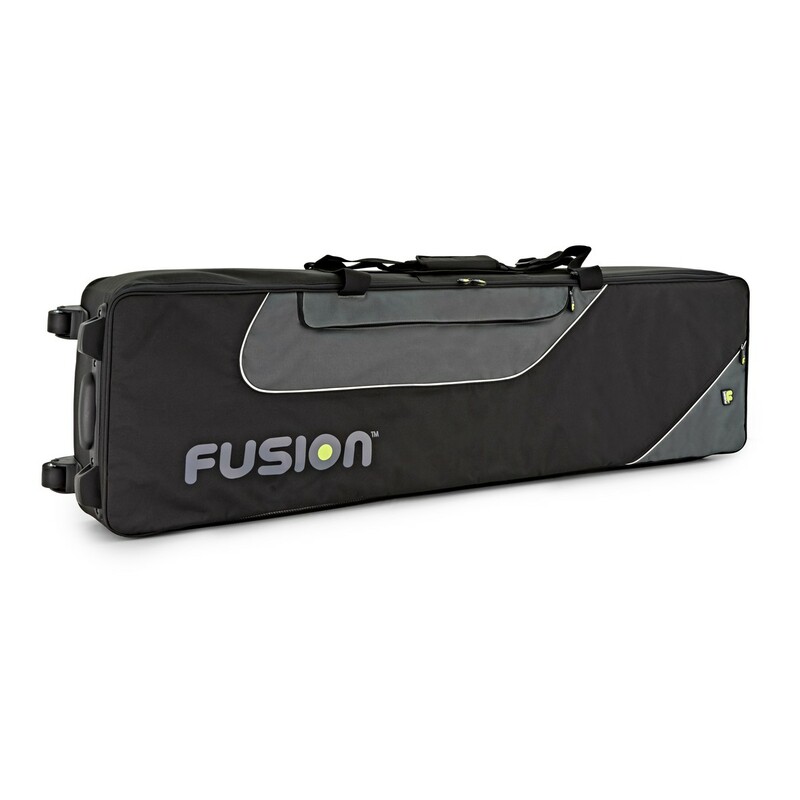 The outside of the Fusion 12 keyboard gig bag is made of quality polyester which is both stylish and water resistant. 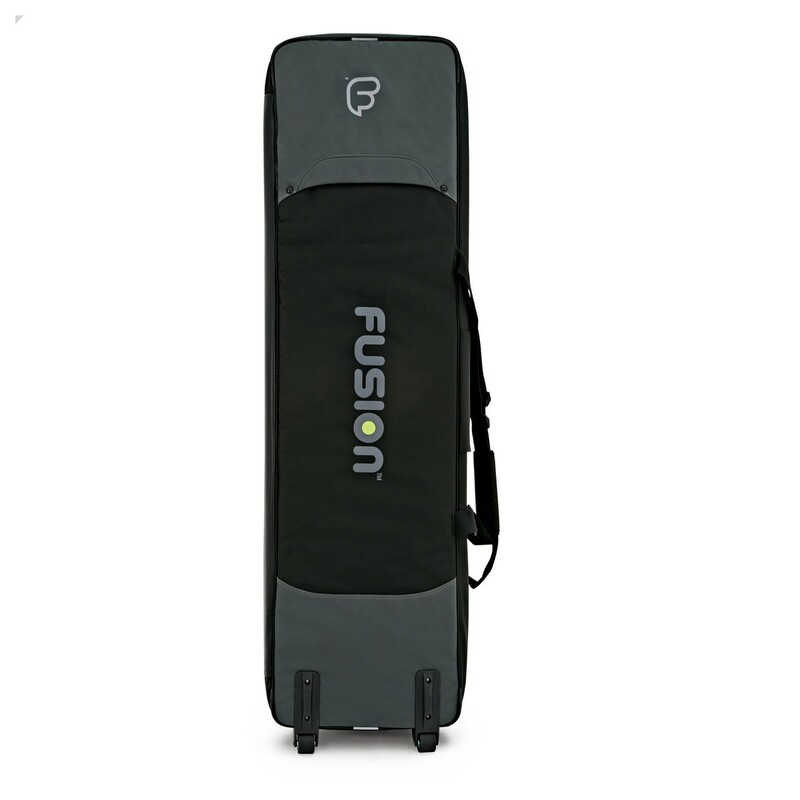 The front of the Fusion 12 gig bag features two large accessory pockets which are ideal for leads, cables, pedals and sheet music. The Fusion 12 Keyboard Gig Bag is specially designed for the gigging musician. The main body of the bag is made from 30mm high-density foam which is lined with a soft, non-scratch quality nylon interior. The inside of the gig bag can hold up to 88-key keyboards. The bag includes eight high-density foam blocks that can be added, adjusted or moved to a desired position or taken out to accommodate various sizes of keyboards. For extra protection, the inside features an adjustable security belt to ensure the keyboard doesn't move while in transit. 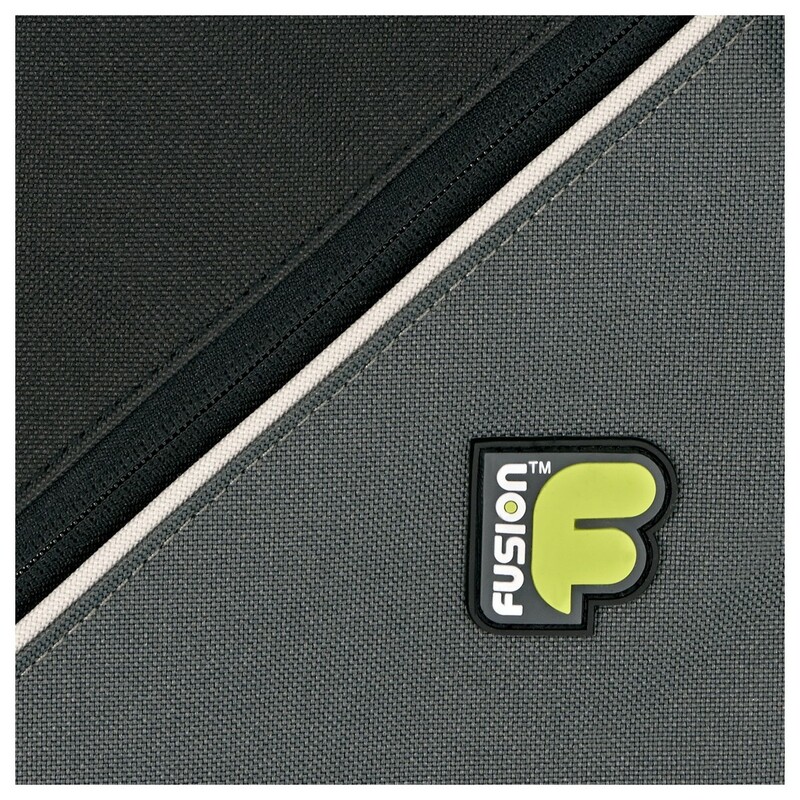 The outside of the Fusion 12 keyboard bag is constructed using water-resistant quality polyester. The Fusion 12 Keyboard Gig Bag is perfectly designed for the commuting musician. 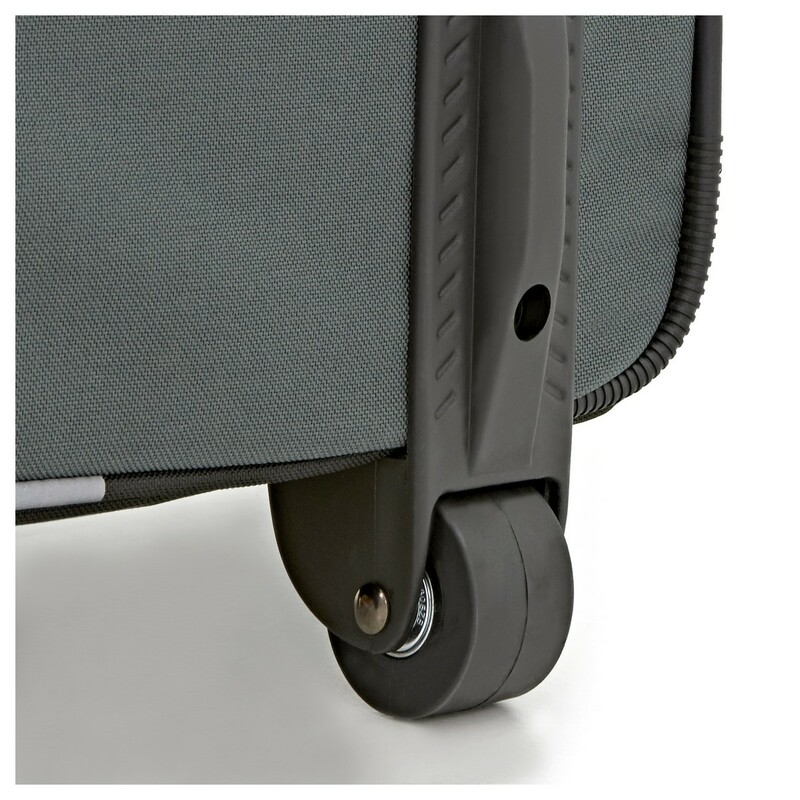 At the base of the Fusion 12 keyboard gig bag are rigid heavy duty wheels which allow for easy transit across short distances. Alternatively, there is a reinforced shoulder strap which can be adjusted for a comfortable feel. There are various reflective panels scattered around the case to ensure you can always be seen on the roads at night. At the front of the Fusion keyboard bag are two accessory pockets with soft rubber zips. The first pocket is ideal for large accessories such as cables, leads and music, while the second pocket is perfect for pedals and other accessories. At each end of the bag are grab handles which are ideal for carrying the case between two people.